Alice Emelia Hickey was listed as the daughter of Thomas Hickey on the 1880 census on 4 June 1880 at Altoona, Blair County, Pennsylvania. A servent, Mary Connell, was also listed with the family.3 As of circa 1887,her married name was Alice Emelia Conley. 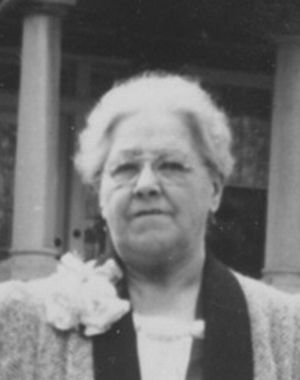 Alice Emelia Hickey died on 16 July 1941 at Washington, District of Columbia, at age 73. She was buried on 19 July 1941 at Cedar Hill Cemetery, Suitland, Prince George's County, Maryland. [S299] New Jersey, Marriages, 1678 - 1985. [S292] 1910 U.S. census, Blair County, Pennsylvania, population schedule, City of Altoona, ward 1, ED 35, sheet 11B, ? (stamped), dwelling 199, family 210, John Conley. [S293] 1920 U.S. census, Blair County, Pennsylvania, population schedule, City of Altoona, ward 1, ED 38, sheet 6A, 6 (stamped), dwelling 87, family 139, John Conley.